Could Taylor County’s Hepatitis A outbreak finally be on the downward slide? The latest numbers from the Lake Cumberland District Health Department indicate that efforts undertaken by local and district health officials could be paying dividends as the number of new cases in Taylor County is down from last month. Statistics show that in the month of November, Taylor County has only recorded two new cases of Hepatitis A. That is a significant drop from last month, when Taylor County had 10 new cases of Hepatitis A. Health officials have continued fighting back against the spread of Hepatitis A in Taylor County by holding a vaccine clinic at the Taylor County Health Department earlier this month, giving vaccines at the Taylor County Detention Center, and raising public awareness about the importance of vaccinations and hand-washing, which are considered by health officials the two best methods to protect oneself from Hepatitis A.
Crabtree said the health department has taken several approaches to combatting the spread of Hepatitis A, along with local pharmacies and doctors offices. Crabtree said they will continue promoting hand washing and vaccinations in order to respond to the outbreak. Across the district, the Lake Cumberland District Health Department continues to fight the outbreak of the disease, with seven new cases across the 10-county district. Of those seven, four come from McCreary County, which had not reported any new cases during the current outbreak, which dates back to August 2017. The other new case in November comes from Pulaski County. 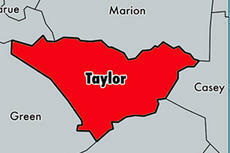 In total, this brings the number of new cases in Taylor County during the outbreak to 44 over the past 16 months. That is the most in the Lake Cumberland Health District, and accounts for approximately 63.8 percent of the total cases in the district. The next highest is Pulaski County with nine total cases and Casey County with five total cases. The district has seen a total of 69 new cases during the outbreak period. Here is a look at a month-by-month breakdown of new Hepatitis A cases in Taylor County. There were no new cases reported from August-November 2017, January and February 2018 and April 2018. November 2018 – two new cases (reported as of press time). The number of new cases in Kentucky sits at 2,769 according to the latest statistics from the Kentucky Department of Public Health. The number of new cases in Kentucky dropped in November to 359 from 467 new cases in October. The counties most affected by the outbreak include Jefferson County (639 reported cases), Boyd County (165 reported cases), and Whitley County (139 reported cases), per the Kentucky Department for Public Health, in which statistics were last updated on Nov. 17. Of Kentucky’s 120 counties, 96 have reported cases. According to the Kentucky Department for Public Health, the highest number of Hepatitis A cases is among individuals between the ages of 30-39 with more than 1,000 of the cases coming from that age range.